Along a route comprising more than 70 traffic light controllers (TLC), motorists in Hamburg / Germany can now see individual forecasts inside their vehicles. For example the speed at which they will surf the Green Wave at the next traffic light. 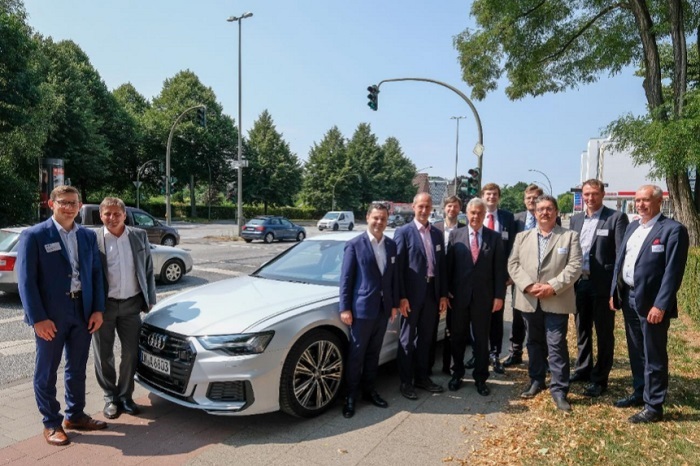 June 20, 2018: In preparation for the ITS World Congress 2021, a traffic light phase assistant will be used for the first time in the city of Hamburg to generate individual forecasts for each individual vehicle. This is made possible by SWARCO's cooperation with HERE, LSBG and Audi. The aim of these partnerships is to jointly shape the urban mobility of the future and to develop Hamburg as a model city for future, sustainable and integrated mobility. "The traffic light time prognosis in the vehicle is an excellent example of the fact that our cooperation with industrial partners at eye level is exactly the right choice: Everyone has contributed their strengths and core competencies. The result is a development that works, is innovative and offers real added value to road users. We have set out on the road to tomorrow's mobility and have made good progress again." Until now, Green Waves were Rigid. The speed limits recommended on the stationary displays were based on assumed average speeds of all vehicles. This often resulted in red phases, which led to unnecessary deceleration, stopping and acceleration. Increased fuel consumption and pollutant emissions were the result. The intelligent Green Wave, which has now been implemented in Hamburg for the first time in real operation, is thus a valuable contribution to economical, fuel-saving driving, improved traffic flow, reduced travel times and less stress for drivers - as studies on traffic light forecast services have also shown. And since starting and stopping processes account for the largest share of NOx pollution, the individual traffic light assistant is not only a precursor to autonomous driving in the future, but also an effective measure for reducing NOx emissions in the present. In a joint project, the City of Hamburg provided the raw data for traffic signal timing and detection at intersections via a newly created interface. On this basis, SWARCO created individual forecasts for each vehicle, which HERE then transmits via its communication interface with the navigation devices to Audi vehicles equipped with a special traffic light phase assistant or app. The forecast used here can process all types of crossings and controls without having to know exactly how the individual crossings look or are programmed. It is therefore universal and transferable. The SWARCO forecast is a self-learning system and also evaluates itself. "Even for a leading provider of intelligent traffic solutions such as SWARCO, it was not trivial to develop a traffic light forecast. Today's control systems are generally very dynamic and intelligently adapted to the current traffic situation. 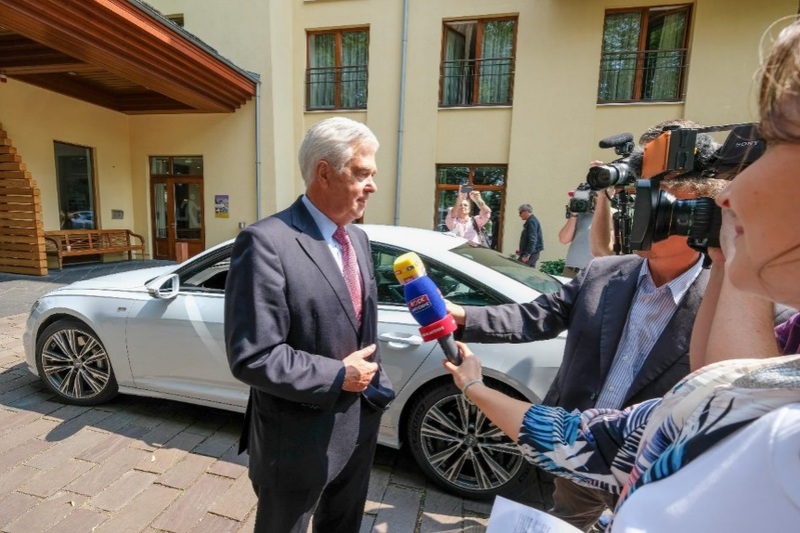 Crucial for us: Only with the cooperation between the City of Hamburg, transport solution providers, service providers and the automotive industry travelling can be made safer, faster, more comfortable and more environmentally friendly."